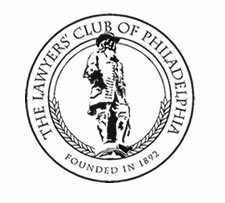 The purpose of the Club is to promote camaraderie among members of the bench and the bar in the Philadelphia area. It seeks to encourage civility and cordial relations between those who represent similar and differing interests: between the bench and the bar; prosecutors and defenders; plaintiff and defense attorneys; government counsel; and all other differing interests. For members of the profession, it provides a convenient forum where they can disregard the differing interests which they represent and enjoy their common dedication to the profession. It seeks to avoid all politics both in and outside of the profession and the handling of all controversial matters, which are more properly the province of the local Bar Associations.